The RAF is giving people an opportunity to win a £275,000 Aston Martin for just £20 in a raffle for the Benevolent Fund. For those who have long dreamed of owning an Aston Martin but don’t quite have the money to pay for it, this could be your chance to get your hands this prestigious motor. A charity raffle is giving anyone the chance to win a limited edition Aston Martin Vanquish S Red Arrows car, worth £275,000, for just £20. All you have to do to win is visit the website and enter. 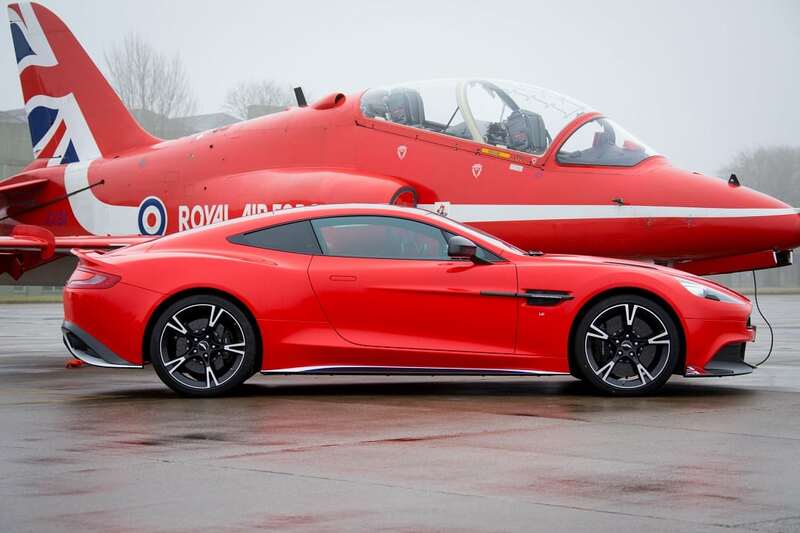 Aston Martin Cambridge has commissioned just ten of these Vanquish S Red Arrows cars as a unique tribute to the Royal Air Force Aerobatic Team, and has kindly donated Red 10 to the RAF Benevolent Fund. All money raised goes directly to the charity that supports past and present RAF personnel and their families. 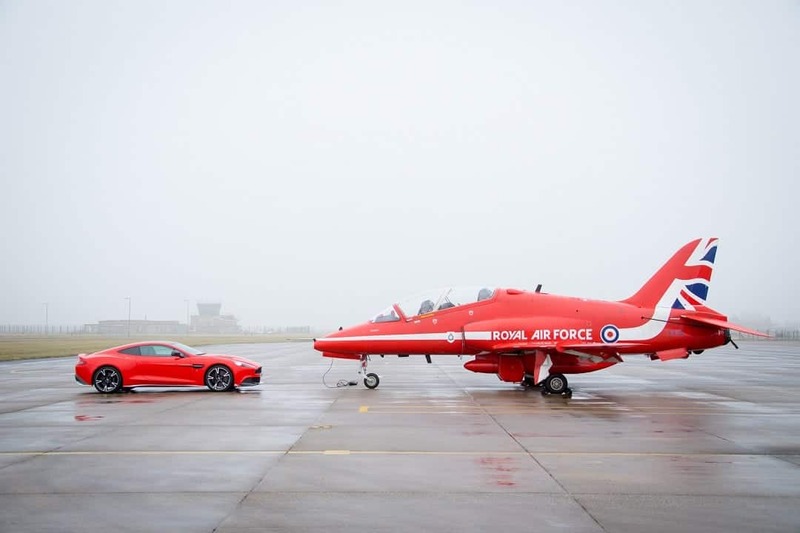 The Aston Martin Vanquish S Red Arrows car, which is being built over the summer, boasts a number of special features that echo the Red Arrows themselves, such as ‘Eclat Red’ Pearlescent paint, bespoke fighter jet switches and ‘Diamond Nine’ embroidery on the headrests. Other features include a Red Arrows Union Jack tail fin motif on front splitter, a Red Arrows Squadron Crest lacquered into the dashboard and an ejection seat detonator cord shape lacquered into the carbon fibre roof panel. There are also blue and white stripes on side skirts designed to replicate the smoke trails left by the Red Arrows during their displays. Similarly to the Red Arrows aircraft, the car is a two-seater despite being a four-seat model. The back seats have been designed to carry custom helmets that can be purchased separately. The raffle is part of an ongoing drive to ensure the charity can continue its vital work supporting more than 60,000 current and former members of the RAF and their families in their time of need. The sale of just one raffle ticket will provide a veteran two hot meals and company at one of the popular RAF Benevolent Fund lunch clubs or contribute to sending a wounded veteran on a course to support them as they return to civilian life. Tickets can be bought directly from the RAF Benevolent Fund website or at air shows and events across the summer. It is open until 1 December 2017 with the draw taking place on 8 December 2017, subject to T&Cs.